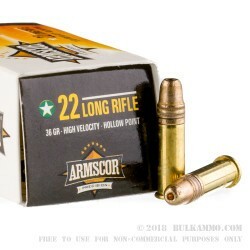 It is hard to find a case of 22LR. So when you find it for a good price, you should take advantage of the opportunity. 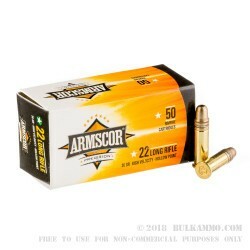 This 5000 round case of 22LR ammunition is a great value, and should last you for quite some time. 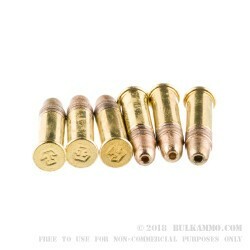 Each round is loaded with a 36 grain copper plated hollow point. This load is great for range time and for varmint hunting. 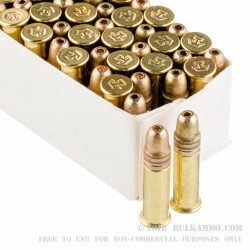 22LR is one of the most cost effective and versatile rounds available. It has low recoil, low cost, and great accuracy. Many people consider it the best round to teach people how to shoot, especially people who are nervous about shooting.